It was like a well-oiled conveyor belt. One after the other people were fearlessly jumping into the unknown and gracefully swan diving towards the river below. That was until I stepped up – then the conveyor belt quickly ground to a halt. I looked down and colourfully voiced my concerns about how high up I was. To say I was scared would be an understatement. 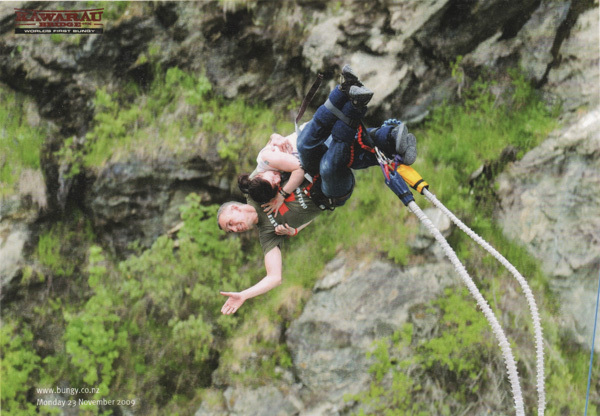 A bungy jump had been on my list for as long as I can remember. 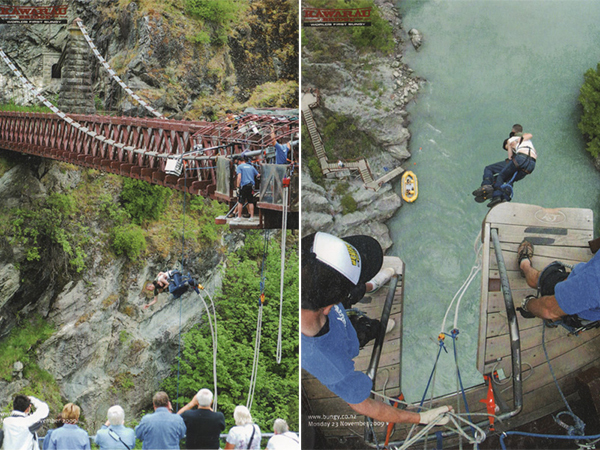 But on that warm November day in Queenstown, I stood on the Kawarau Bridge frozen by fear unable to leap. 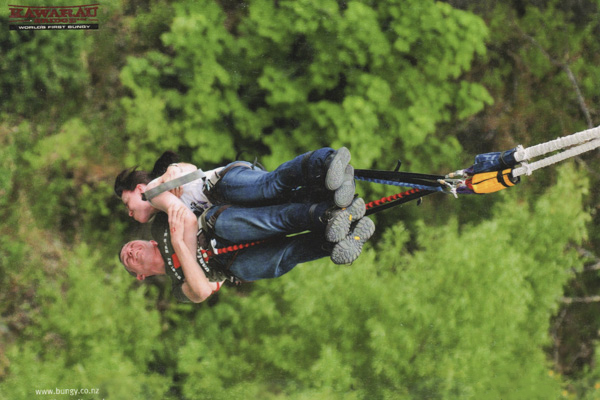 Ian and I had made the decision to do a tandem jump in case one of us tried to bottle it. 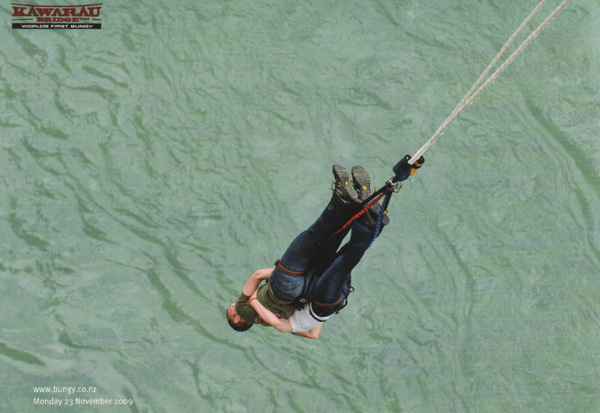 The idea being that at least one of us would be brave enough to jump, dragging the other one with them. Although it didn’t quite work out like that because I wasn’t for being dragged anywhere. As I clung onto Jase for dear life, repeating the mantra ‘I just can’t do it’ – I backed away from the edge and started to believe every word I was saying. Ian and I sat down and Jase gave me a pep talk. Over and over he asked why I couldn’t do it and who was stopping me? In my anxious panic ridden state it soon became apparent the only person stopping me from jumping, was me. 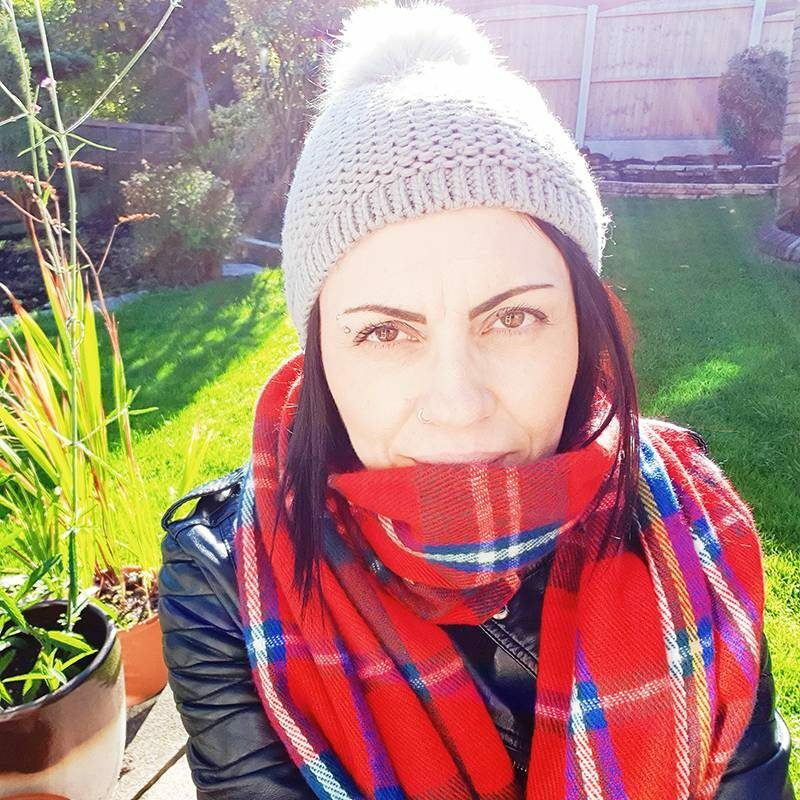 There were no external factors, there were no barriers preventing me from doing it, it was just my own internal dialogue – something I’d been battling with for months. Throughout the pep talk, one thing hit a nerve. If I didn’t jump I’d have to turn around and do a walk of shame back along the bridge. Although they weren’t Jase’s exact words, he was very clear when he said the only thing worse than jumping, would be walking away. I’d have to live with the fact that I was so close and then I didn’t do it. Be beaten? Walk away from something because of fear? That was all I needed. With trembling legs, I stood up and we shuffled our way back towards to the edge of the bridge. I took a deep breath and looked across to the spectators who were now cheering me on and shouting words of encouragement. I grabbed hold of Ian and together we decided to jump. 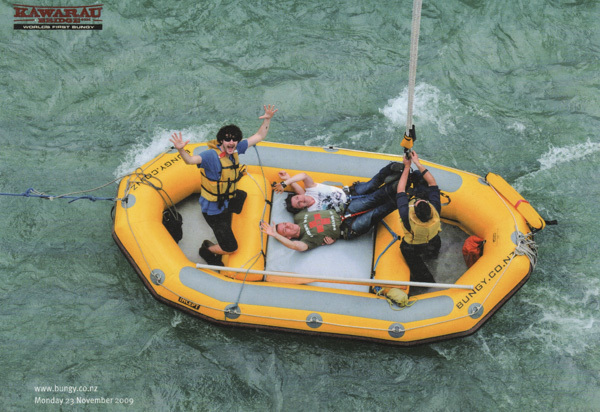 Or a more accurate description would be, I clung onto Ian for dear life and then performed a particularly pitiful foetal roll off the edge of the bridge. It wasn’t my finest moment and it definitely wasn’t the swan dive I’d been practising in my head. Repeatedly. For days. But I did it. Part way down I managed to open my eyes and I realised that it wasn’t that bad after all. I’d managed to get myself so worked up just by thinking about it, and that was worse than the jump itself. When we got off the boat, we were met by lovely, kind strangers who wanted to congratulate me for being brave and overcoming my fear. With a grin on my face, I raced back along the bridge to thank Jase for making me jump. He didn’t have to do what he did, he could have untied me and let me walk away. But instead, he helped me to see that the only person standing in my way was me. And that was something I couldn’t have lived with.